Ever want to put a bullet in your computer monitor or CPU unit? If you’re like most people, the thought has crossed your mind. 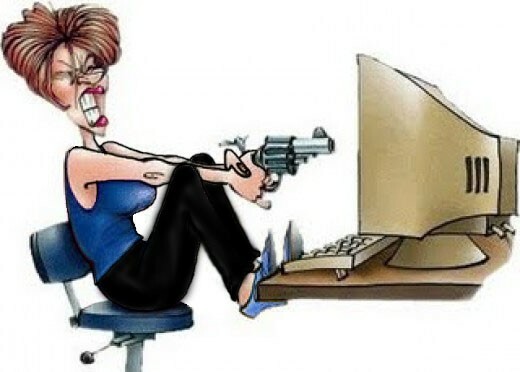 Computer problems can be the most frustrating and blood pressure rising ordeals anyone can go through. Many people opt to try to fix their computer problem themselves to save a buck and that’s where the sad turn of events begin. Before you know it, they compound their technical problems and soon the computer has it’s owner curled up in a fetal position, sobbing on the floor, wishing they had never been born. If you are not trained or technically savvy when it comes to troubleshooting computer problems and you try to do a “do it yourself” repair job, you will most likely end up more bumfuzzled than before you started. Is it a virus? Is it a registry problem? Is it malware? Is it a software installation problem? Is it a compatibility issue with the current operating system? Is a driver missing? Is it a hardware problem? Is it an over abundance of user friendly plugins or options? Is it in need of serious optimization and cleaning of old or outdated data? Is it that you forgot to plug the dang thing in? Creator Graphics is able to provide affordable computer services to residents and small businesses in the Atlanta metroplex and surrounding areas. Customer service is our top priority and we believe in friendly, personal yet professional service. We strive to provide computer service that exceeds your expectations in all aspects in the hopes of earning your repeat business. 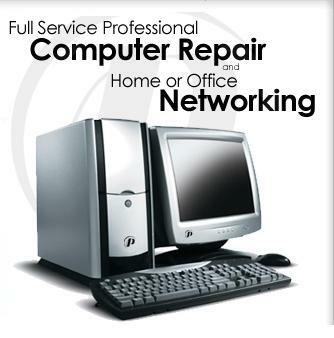 With over 16 years of experience in computer repair, maintenance, building, networking, and data recovery, we are able to handle any issue that you may have. We can use forensic data recovery protocols to bring back those important files that you thought were lost forever when your computer crashed. Creator Graphics consulting & repair service is a independently owned and operated and has no franchise “markup” fees or pricing. This gives us the flexibility to adjust pricing, scheduling, and services dependent upon each of our individual client’s needs. We have no great overhead and minimal operational costs so we can keep our prices low. A physical inspection of the computer itself is performed and any dust and contaminants are cleaned from the system. Any unecessary software aka “bloatware” will be removed. A registry optimization scan will be performed and any remnants of uninstalled software will be removed. Disk cleanup and defragmentation will be performed if necessary. This process will ensure proper functionality and increased speed and performance of the overall system..
Malware/Virus Removal – $99 Flat Rate when performed at our location! Utilizing current tools and techniques, your system is scanned for any virus, spyware, or malware program. All such programs will be removed using appropriate techniques and the system will then be rebooted and rescanned to ensure that the threat has been eliminated. As part of this service, any necessary updates to the windows operating system, BIOS, hardware, software, and antivirus software will be performed. 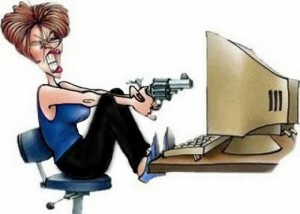 If no antivirus is installed, a free solution that has been deemed efficient will be installed for you at your request. Hardware Replacement – Prices starting at $49! Any hardware can be installed or upgraded. You are free to provide your own replacement part or request that we source the part out for you. By utilizing several outlets, we can obtain the lowest price possible. Any hardware that we source for you will carry a manufacturer’s warranty. We cannot warranty any hardware that is provided by the customer. Network Installation & Upgrade – Prices starting at $49! As both homes and businesses grow, both find the need to add new devices which need to communicate with other devices. Computers, printers, fax machines, video game systems, phones, video surveillance cameras and even televisions are examples of technology that is commonly networked in today’s world. With experience in both wireless and wired networking, we can provide installation and setup of a range of networking options to ensure your needs are met. Data Backup & Recovery – Prices starting at $29! Computer components have a finite life cycle, as any piece of equipment does. Hard drives, the most common form of data storage, are succeptible to heat, cold, shock, and viruses. Any of these things can cause damage to a hard drive and result in data loss. Family photographs, billing history, and tax records can all cause devastating loss in the event of hardware failure, many of which are irreplaceable if no backup or physical copy exists. We encourage you to request a backup when any work is done on your computer. The cost of the backup pales in comparison to the cost of losing your valuable data. In the event of data loss where no backup is available, however, We may still be able to help. Utilizing forensic data recovery software, We are able to retrieve most salvageable data – a service not commonly available from other companies without demanding extreme costs if the drive is sent to them. Please be aware that dependent upon damage and length of time in the event of deleted items, the data may be irretrievable or corrupted. Consulting Services – Prices starting at $79! Many small businesses find that they have either outgrown their technology or find that they need to adopt new technology to improve their operations but cannot afford to hire a permanent employee to evaluate and implement these systems. By filling this role as a contractor, we can ensure that the needs of your business are met without placing a burden of full-time employment upon you once the task is complete. Services under this category may involve the work being done in-house or may place us in an advisory role, subcontracting the work out to other specialty firms suitable to the need. Whatever the need is, we can accomodate you with the services that your business requires and would otherwise be unable to obtain at a reasonable price. The following is a breakdown of all pricing and fees associated with our services. 60 day guarantee for all work performed to include only the specific issue(s) that were presented at the time of the agreement. Minimum service charge of 1 hour. For all terms and conditions, or to fill out and print a repair request form, please see the “Repair Form” at the top of the page. Here are answers to some of the more common questions that we receive about our computer consulting repair services. 1) How does the diagnostic fee work? All initial repair assessments are charged a diagnostic fee that equals one hour of labor. This fee is only applied if you decide not to have us do any further work on the machine. If we do any service, this fee is not applied. This fee protects us from being used as a free diagnostic service, freeing up more of our time to perform work for our paying customers. 2) How long will my repair take? Unfortunately, all situations are unique and we cannot give any guarantees as to how long a repair will take. Extent of problem, amount of work to be performed, and ordering parts can all affect the time it takes to complete a repair. 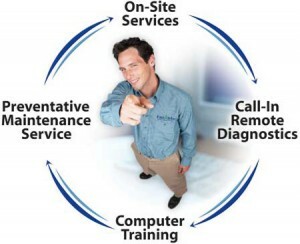 Most repairs have a 2-3 day turnaround time, but this is not guaranteed. If you are on a time crunch or have a deadline, let us know. We will try to accommodate your needs if possible. 3) Why is the service charge higher for on-site work? When we do repairs in our office/repair center, we are able to work on multiple customer’s machines at the same time. If we have to leave the office to perform on-site work, it inhibits our ability to multi-task and slows our turnaround time. We have to charge a higher rate in order to make up for this loss of productivity. 4) Why am I required to sign a release if I do not want a backup performed? By creating a backup of your drive in it’s current state, we are able to both provide you with a copy of all of your data and have a failsafe in the event that your data is lost during the repair process. By signing the waiver, you acknowledge that you have been offered the opportunity to have the backup created and have declined it. 5) How long do I have to pay or what are the payment terms? First, we will try if possible to give you a “good faith estimate” on the repair work in order to help with your budget. All residential customers are required to make full payment at the time their machine is picked up or work is completed. Business customers have a 10 day grace period to remit payment. 6) What payment methods do you accept? We accept cash, check, or credit card payment via Paypal. 7) Do you work on Apple products? Yes we do. We can work on macs and repair apple mobile products such as the Iphone, Ipod or Ipad as well. No need to hire a full-time IT Tech and pay him an annual salary plus benefits that obliterates your company’s profit margin. Creator Graphics would like to show you that we truly can be your home or small business on-call tech and offer the support base you need to run your operations smoothly and efficiently. Fill out the form below and allow us to amaze you with our affordable IT solutions. …And We Promise That You Will Never See Any Of Our IT Techs In Their Underwear.